In this one-day water themed tour in the Peloponnese, we will visit beautiful natural sites, learn about the water as a link between different environments, participate in specially designed drama games, talk about Greek mythology, taste local food and most of all, enjoy nature. In the plateau of Mantineia, we will see the natural sinkholes and visit the cave of Kapsia with the spectacular colored stalactites and stalagmites. On our way to the springs of River Ladonas, we will stop in a living natural monument counting 3000 years of life, the vineyard of Pausanias. 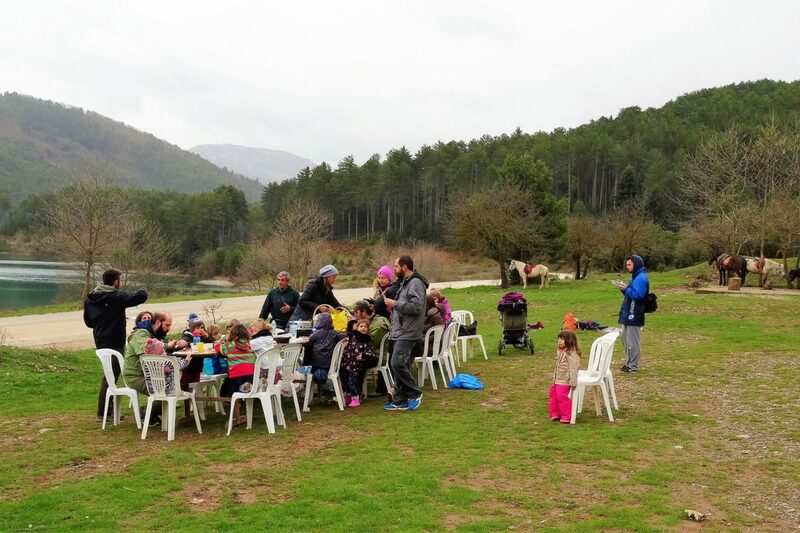 We will walk by the springs of Ladonas, enjoy nature and taste the traditional Greek feta cheese from a nearby dairy farm. 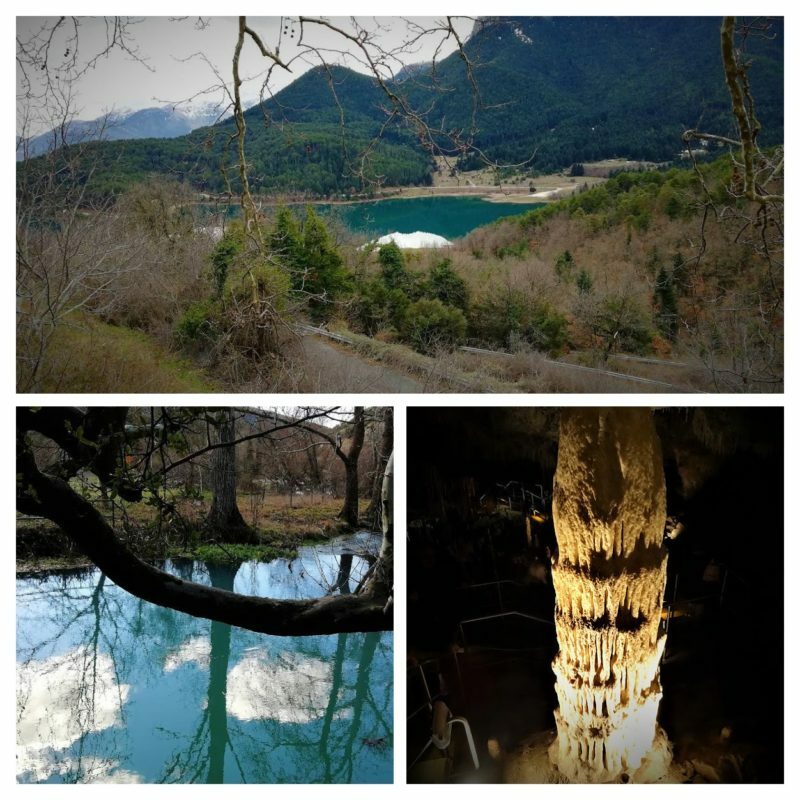 Driving through a beautiful route in the mountains we will arrive in the artificial Lake Doxa. We will hike or horse ride through a dense forest with fir and pine trees. We will take a picnic with local traditional food on the shores of the lake, visit the monastery of St. Georgios to enjoy the panoramic view of the lake, taste the spoon sweet ‘roses’ of the monks and we will walk to the chapel of St. Fanourios located on the edge of a scenic peninsula in the lake. We will also have the opportunity to participate in a specially designed water themed drama game.